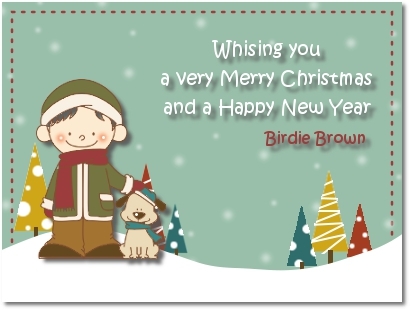 As I previously said, Birdie Brown is going to take a winter vacation from December 15th, 2012 through January 6th, 2013. During the vacation, I will not reply Etsy conversations and emails, and this blog will not be updated. I'll be back on January 7th, 2013 with a new freebie and a new challenge! Have a wonderful Christmas and New Year! Look forward to seeing you back in January! Oh, thank you so much, Torico, for my gorgeous Christmas card - it looks even more stunning in real life! Have a fantastic Christmas and *see* you in the New Year! Merry Christmas to you and your family Torico...enjoy your break! Merry Christmas Torico, hope you have a fabulous time! Merry Christmas and Happy New Years to you too Torico! Thank you for all the wonderful challenges in 2012. Hope you have a lovely Christmas and New Year and look forward to your new challenges in 2013. Hi Torico, hope you had a lovely Christmas break and every best wish for 2013!